Fig. 6. Shapes of QCRHD, QCR, and MCR when μ = (1 1)T, . 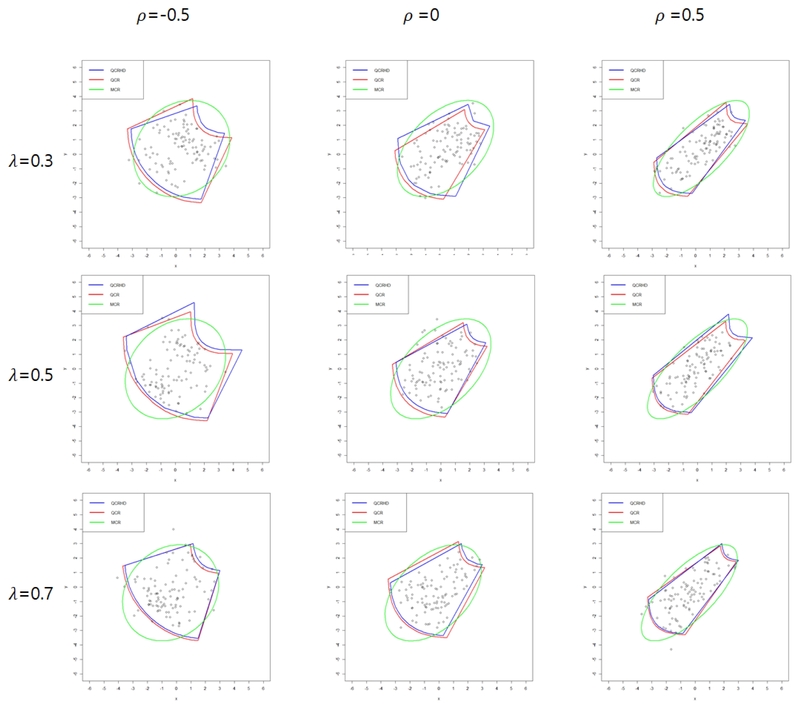 QCRHD = QCR using highest density; QCR = quantile confidence region; MCR = multivariate confidence region.